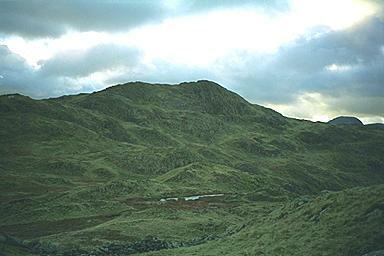 The path from Cam Crag goes to the left of the tarns and then appears to head directly for the (right hand) summit. It then bears left to ascend Combe Door from which the summits are reached. Larger version of this picture.